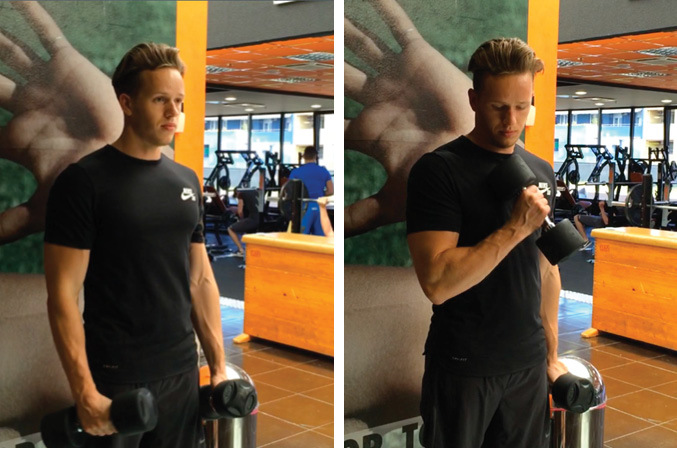 The Dumbbell Hammer Curl is an upper body exercise that primarily targets the biceps, but also works the forearms. This is an isolation exercise which is well suited to beginner lifters. Stand holding a dumbbell in each hand with your palms facing towards your body. Lift one dumbbell in a slow and controlled manner by squeezing your biceps and keeping your elbows tucked in by your sides. Keep your palms facing towards your body throughout, keeping the dumbbell in the “hammer” position. 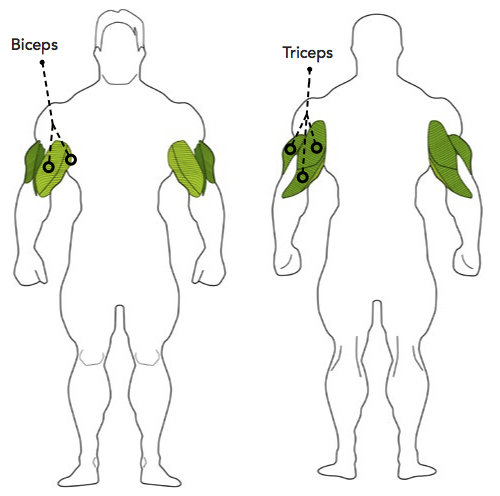 Slowly lower the dumbbell until your arms are almost straight and then switch to the other arm – don’t fully straighten your arms and lock them out or you will release the tension on your biceps. Through Train Eat Gain I aim to help others to achieve their training and nutrition goals with simple, no-nonsense advice. Over the years, I have learned how to integrate these principles into my day to day life and am a true believer in the fitness lifestyle. Your security is important to us. That's why we use Positive SSL at checkout. © 2017 Train Eat Gain Ltd.